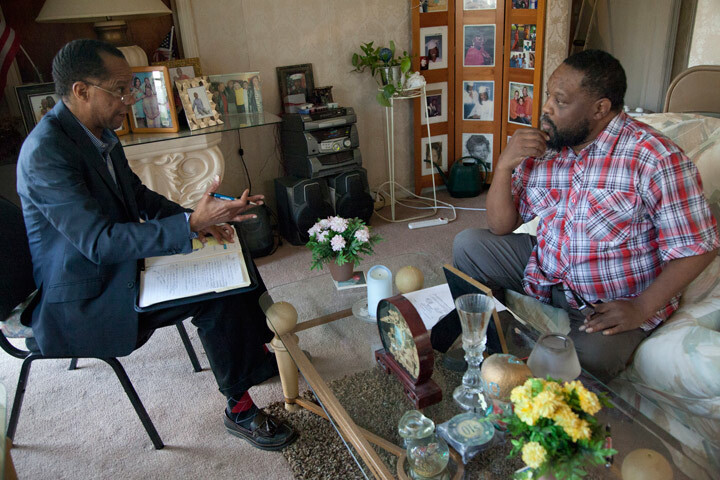 At his home on the east side of Detroit, Frank James is meeting with Rickey Wright, a community health worker with Partners 4 Health. Frank needs a kidney transplant. He also has diabetes, high blood pressure and other health challenges. Frank is 54. Frank James listens as P4H community health worker Rickey Wright explains how Frank can improve his health. Rickey proceeds to advise Frank about bringing his blood pressure down, improving his diet and losing weight. Rickey recommends a food pantry that Frank can use when he is short of money near the end of the month. 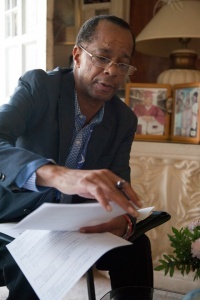 Rickey also inquires about Frank’s next primary care appointment, which Rickey will attend to help coordinate care. Frank is grateful for Rickey’s involvement and that of the Partners 4 Health nurse who had come to his home, comprehensively assessed his needs and situation, reviewed and reconciled his medications, and helped him set goals for healthier living. “You guys have been nothing but helpful,” Frank says to Rickey. It’s been a year since Partners 4 Health began its outreach and holistic work with high-risk patients, and the initial results are promising in improving the health and reducing the healthcare costs for these vulnerable individuals. “When someone allows you into the place they live, their intimate and personal space, it is privilege and a unique opportunity to build trust and understand them as a whole person, their strengths and challenges, and to assist them in achieving a better and healthier future,” says Contessa Rudolph, program manager for Partners 4 Health. Partners 4 Health (P4H) is a partnership of four leading human service agencies in Wayne and Oakland counties: Common Ground, Neighborhood Service Organization, Oakland Family Services and Southwest Solutions, which is the lead partner. P4H is based on model of cooperative care developed by by Dr. Jeffrey Brenner, founder of the Camden Coalition of Healthcare Providers. P4H serves patients in the tri-county area. They are referred by Total Health Care and have been identified as high-risk because they have multiple chronic conditions, often combined with behavioral health issues and socio-economic challenges. P4H data indicates that the referred patients have been diagnosed with an average of four chronic illnesses. P4H has reviewed the data from the first 100 patients in the program. At the start and end of their participation, patients fill out a detailed, industry-standard survey called the Patient Activation Measure (PAM). The P4H participants increased their PAM scores by an average of four points. Each point increase is significant because it is scientifically shown to correlate with an increase in “patient activation,” an increase in proper medication use, and a decrease in ER visits and hospitalization. Patient activation refers to the knowledge, skills and confidence the individual has in managing their own health and care. It is evident that P4H is making a real difference in the lives of the patients it is serving. P4H is contracted to interact with each patient regularly for 13 weeks. The average patient participates in the program for 110 days. Currently, about 60% of the patients reside in Detroit. There are staff positions for three community health workers, and each will eventually carry a caseload of about 30 patients. 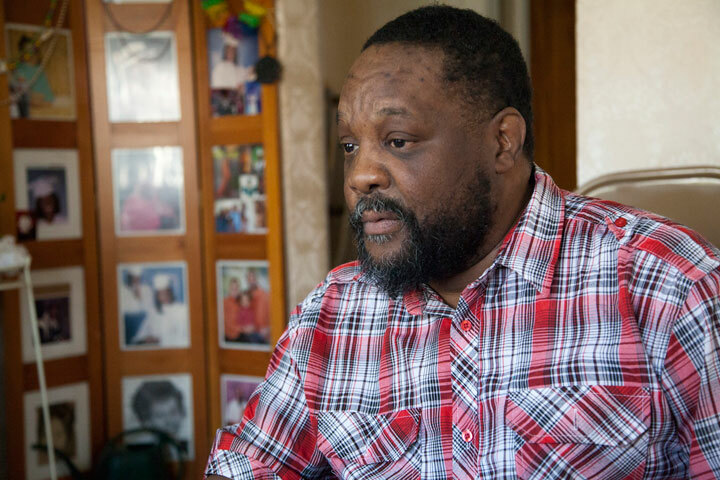 Community health worker Rickey Wright is acutely attuned to the health challenges of the patients he is seeing. Rickey is a veteran who served as an emergency room physician in the Air Force. After his service, Rickey had a successful medical practice before suffering a devastating illness and then near-fatal accident. Rickey endured a bout of homelessness until he moved into Southwest Solutions’ Piquette Square for Veterans, where he still resides.